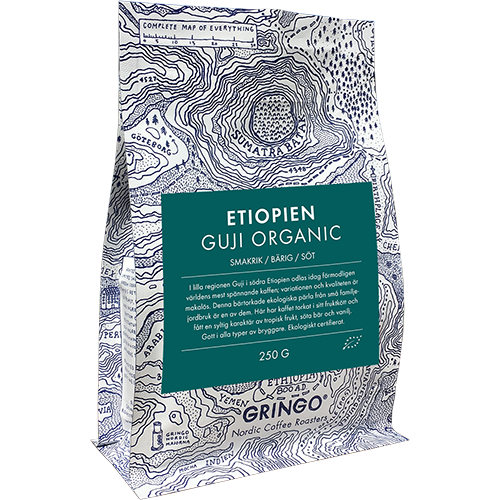 Gringo Etiopien Guji Eco coffee beans has dried in their pulp and received a soft character of dried fruits, sweet berries and vanilla. In the small Guji region in southern Ethiopia, today probably the world's most exciting coffee region, the variety and quality are unmatched. This dried organic pearl from small family farms on the plantation Dimtu Tero is one of them. Gringo Ethiopia Guji Eco is good in all types of brewers.